Today, we’re pleased to announce the publication of The Greek New Testament, Produced at Tyndale House, Cambridge—the result of years of research and created to serve the global church. The Greek New Testament, Produced at Tyndale House, Cambridge was created under the oversight of editors Dr. Dirk Jongkind (St. Edmund’s College, University of Cambridge) and Dr. Peter Williams (Tyndale House, Cambridge). Together with their team of scholars, they have taken a rigorously philological approach to reevaluating the manuscripts—reexamining spelling and paragraph decisions as well as allowing more recent discoveries related to scribal habits in the earliest manuscripts to inform editorial decisions. 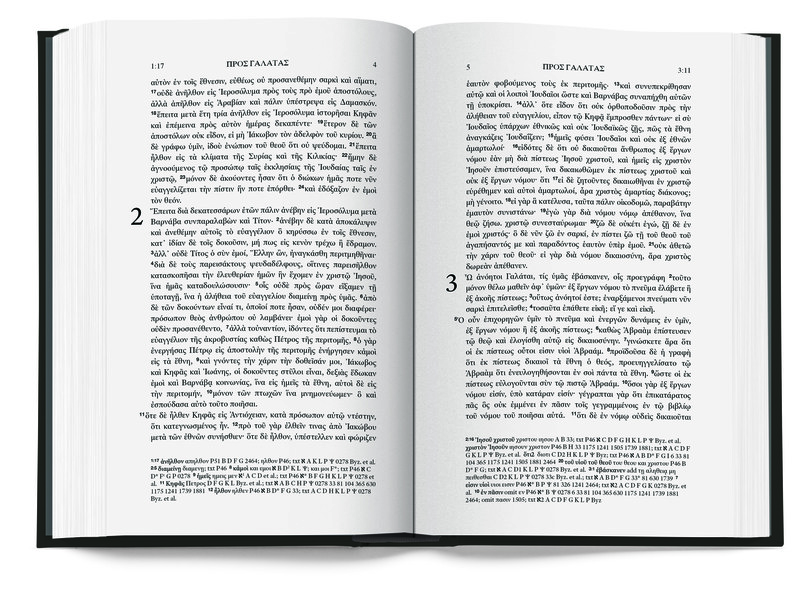 (…) Learn more about The ESV Greek New Testament, Produced at Tyndale House, Cambridge at TheGreekNewTestament.com and download a sample of the Gospel of Mark. Dieser Blog-Beitrag von Uwe Brinkmann erschien zuerst auf brink4u . Lies hier den Original-Artikel "The Greek New Testament (Tyndale House)".